Many options for software free download are available online. 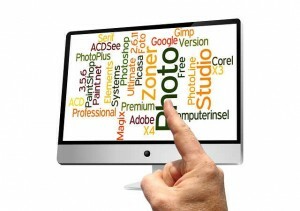 You can search through hundreds of free software deals to download. Whether you are looking to update your browser to a newer version, or updating the antivirus, these software free download websites can help you out quite a bit. Popular websites include filehippo.com, freewarefiles.com, cnet.com and many more. The latest version of Mozilla Firefox is now available completely free of cost online and is compatible with Windows 2000, XP, 2003, Vista, 7 and 8. The latest version displays better social platform along with other fascinating features. You can now add your favorite social networks in the Social API for easy access and also brings you easy notifications from Facebook and other sites for quick reference. With its high performance and speed, this new version of Firefox gives tough competition to other browsers like Chrome, Opera and IE. It has one of the largest databases of add-ons, so you can select from a number of add-ons as per your requirement. This version gives a great user experience along with its sleek features. TakeStock 2.0 Alpha is interesting software available for free download. It is supported by Windows XP SP3, Vista, 7 and 8. . Windows XP users must have Microsoft .NET Framework 3.5 SP1 installed. TakeStock is an excellent personal portfolio manager which is easy to use, powerful and quick. It can be used to track any US and international mutual funds and stocks. You can view and compare stock charts, obtain company information, read business news and avail real-time quotes and historical prices. Above all the best part is TakeStock is absolutely free and saves you a bunch of money from the paid portfolio management services. Looking to manage passwords for websites with a single master password? Then download SpeedyPassword, a software free download which is easy to use and maintain. It does not store your password, but encrypts them using military grade encoding rules. There is no need for you to type in the password so no one can capture your keystrokes. It can be integrated with Firefox, Internet Explorer 10+ and Chrome. It is easy to install and once installed you just need to create an account and get going. For creating an account, all you need to enter is name, email address and a strong master password. This is recommended for anyone who is looking for safer access to their favorite websites.